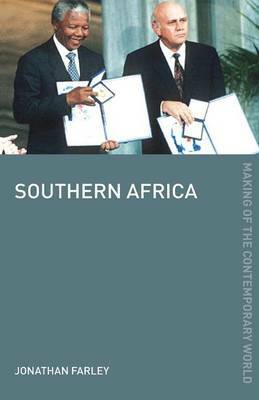 Southern Africa surveys the contemporary history of the whole region encompassing economic, social, political, security, foreign policy, health, environmental and gender issues in one short succinct volume. Positioning the collapse of Portugal's African Empire in the context of the region's history since 1945, Farley asserts that this collapse set in motion a train of events that eventually led to the transition of power from minority to majority rule in Angola, Mozambique, Zimbabwe, Namibia and South Africa. He examines the experiences of these countries as well as the former High Commission territories of Swaziland, Botswana and Lesotho to analyse the kind of states that evolved and shows how Southern Africa's present problems are the inevitable result of a long history of white rule. The book assesses the challenges faced by Southern Africa's political leaders up to the present day and discusses how these problems might be successfully addressed in the future. With maps, a chronology and glossary, this is a valuable resource for all those interested in African history, politics and culture.